Some say it’s the journey and not the destination that matters. But a man who can look at the world through the eyes of a child will have a lot more fun along the way. A young Irish boy, Finis McGee, escapes the slums of Chicago by impressing William Randolph Hearst with his wit and guile. When he learns that his hero Mark Twain has just died, he sets off to prove the spirit of Tom Sawyer still exists. 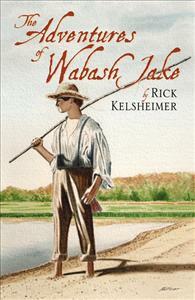 Just as he was about to lose hope, Finis crosses paths with Uncle Woody Gogin, an octogenarian who spins a yarn about a pioneer boy who lived in the Wabash Valley in the 1840s. It seems that fate has brought this unlikely pair together as their lives are changed forever.